GOLOSO Games is a one man indie dev from France. I make games focused on creative stories and strong gameplay, when I am not working at my real daily job. 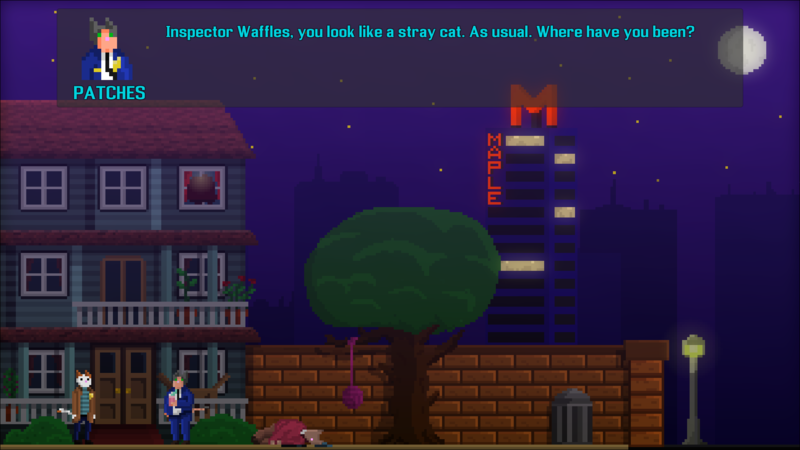 One of my project I'm working on is Inspector Waffles, a point-and-click adventure game with anthropomorphic cats and dogs. Unfortunately, Inspector Waffles won't be at GDC, because Fluffy's murder took all my time to solve (and also because it's too expensive for a solo dev like me). I am really happy to be part of itch.io community. Thanks for the #notGDC initiative, it's a brillant idea and it helps a lot small devs like me. Thanks again ! Thanks a lot leafo, I really really appreciate that :) Keep the great work! Haha :) Will do !